A study by the University of Wisconsin found that drinking Guinness can reduce blood clots and the risk of heart attack. 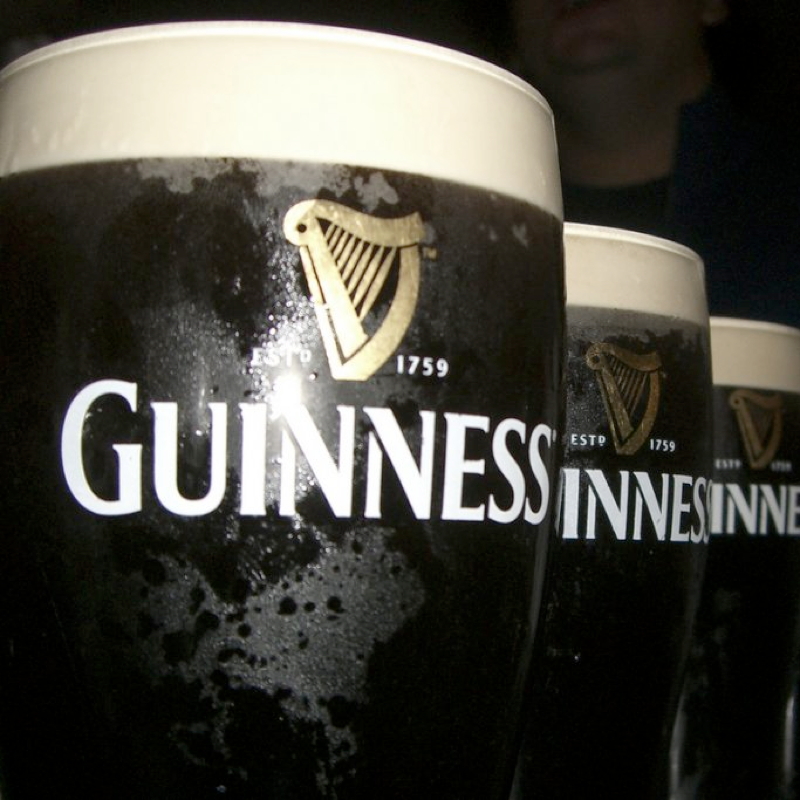 Guinness contains antioxidants like those found in red wine and dark chocolate, which are not found in other beers. Who needs Jamba Juice or Slimfast when you have Guinness? Worried about eating too many chips at lunch? Get a pint instead. Feeling down? Have a few pints. You’d be amazed by how fast your Debbie Downer worries get chased away by a good foamy stout. And did that fellow at the end of the bar just get more attractive? Guinness Extra Stout brewed in North America lacks isinglass, a fish product used in Guinness Draught to refine the brew. Not only is Guinness Extra Stout approved for the vegans out there, it’s the oldest of the Guinness clan, first crafted in 1759. You can distinguish yourself from the green-beer-drinking layman when you order your Guinness. There is a very elaborate art to pouring the perfect Guinness draught, as Mr. Daly here knows, and the rest of the bar will marvel at your impeccable taste. After drinking a Guinness or two, you may find yourself more predisposed to converse with your fellow aficionados. This is a good thing; Guinness drinkers are a warm and welcoming bunch. They don’t call it “Irish hospitality” for nothing. With 3mg of iron, Guinness isn’t exactly as beneficial as Popeye’s green spinach. However, it is a lot better than those kegs of green beer. Established by Arthur Guinness in 1759, Guinness is one of the oldest brews on the planet. With over 250 years to get it right, Guinness is as close to perfect as you can get. A few pints in, Guinness may make you begin to feel like Michael Flatley, particularly if you are in a pub where Irish music is playing. This will result in both an excellent form of exercise and entertainment for your fellow pub-goers. There’s a reason why Guinness sponsors professional rugby: Guinness is a tough drink for tough folk. If you can handle the intense, flavorful drinking experience that is a Guinness, you can handle anything. Drinking a Guinness says “I enjoy the finer things in life, and I am fabulous.” There’s nothing better for your ego than that.